Our recent group session with GSA’s Pre-Sessional English students proves that archives really do ignite creativity! The Pre-Sessional English course is a three-month discipline specialist language provision tailored to the needs of international students who have been offered a place at GSA on the condition that they improve their English to meet the requirements of GSA courses. This intensive bridging programme offers a unique opportunity to study English and essential academic skills in the context of the creative disciplines, while immersing them in British and Scottish culture. 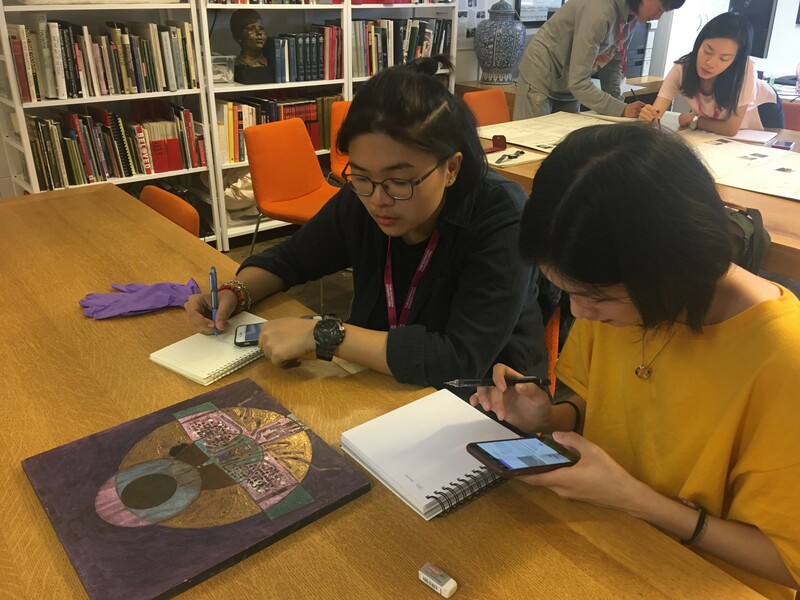 This idea of culture immersion was the starting point for the collaboration between the Pre-Sessional English students and us here at the Archives and Collections. Course leader Anna Rolinska suggested a group archive handling session involving a variety of objects with a Glasgow connection. 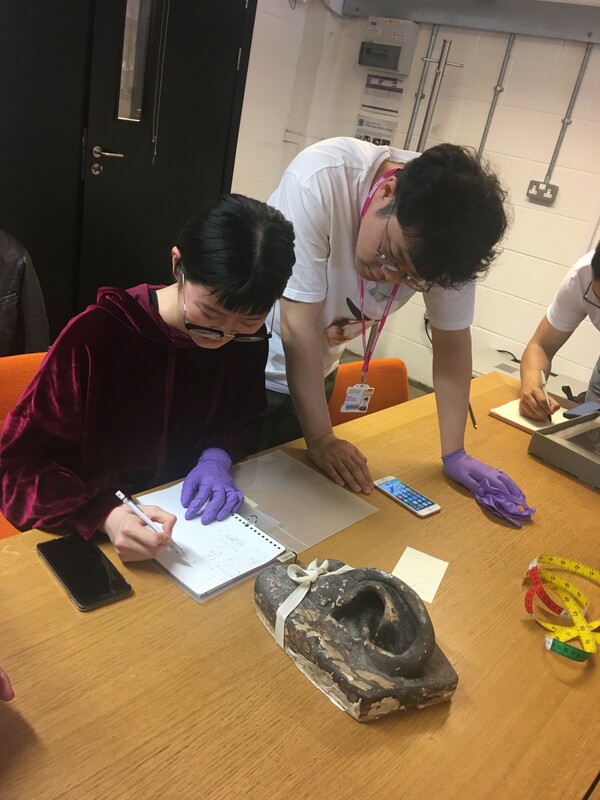 After a brief introduction to the service, the students were instructed to work in pairs, selecting an object that interested them for analysis. They then worked together to come up with a detailed description of their object without any input from the Archives and Collections staff. This was particularly difficult on our part, as there is nothing we love more than to share our knowledge about the collection! 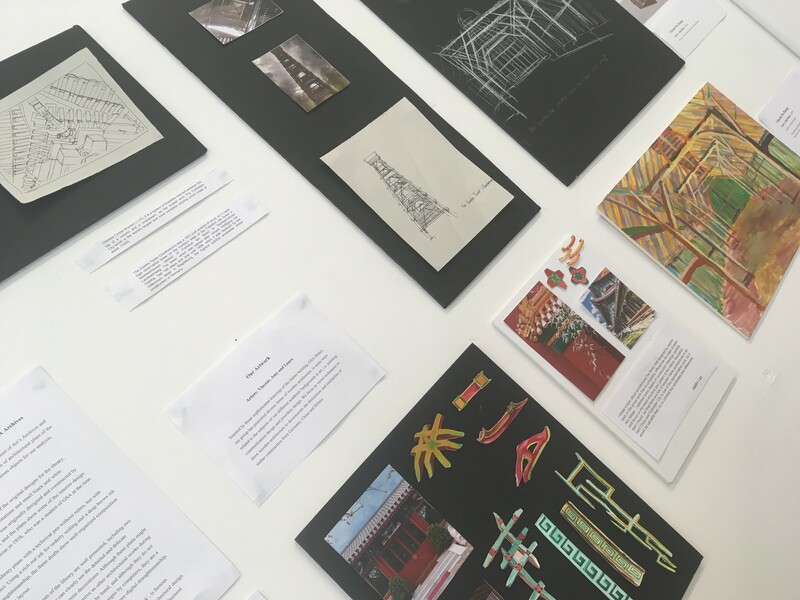 Back in their studios, the students then produced creative responses to the work using the notes, drawings and photographs that they had collected at the session. 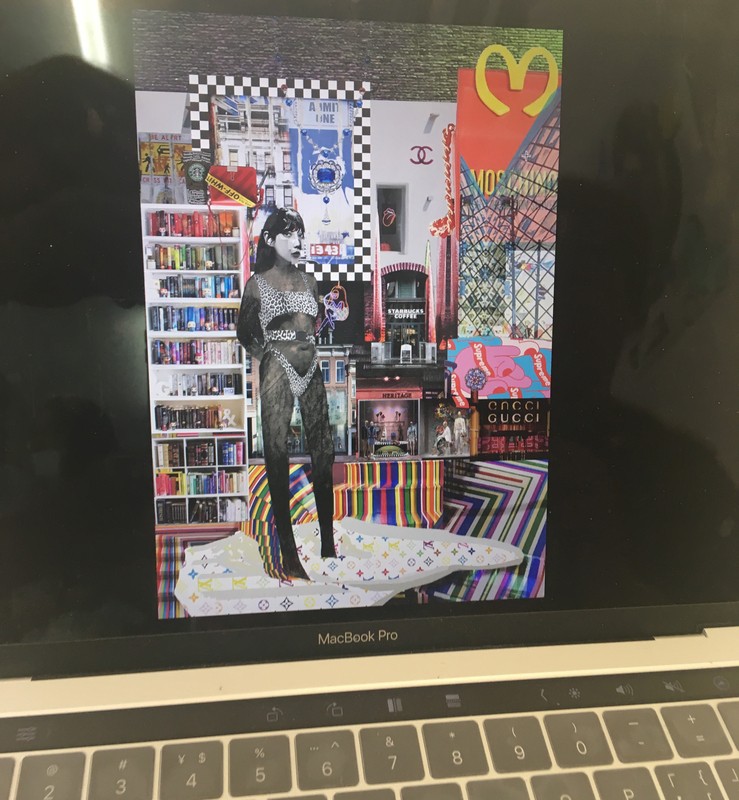 As you will see below, responses ranged from a poignant piece of video art to a plaster cast transformed into a swimming pool! 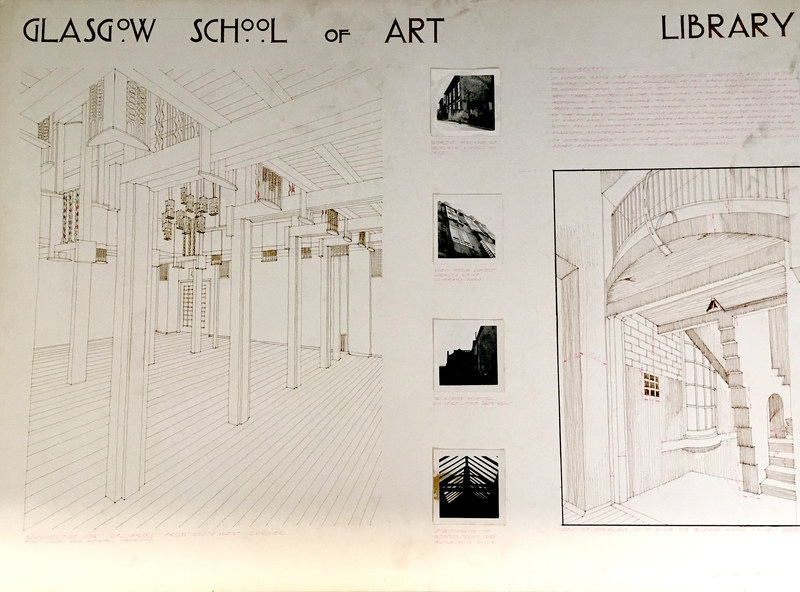 Vincent Pu Zhang and his group mates Amy and Laura combined our 1958 David Duncan drawings of the Mackintosh Library with elements from English and Chinese heritage. They created beautiful new interior spaces from the ideas that they came up with. 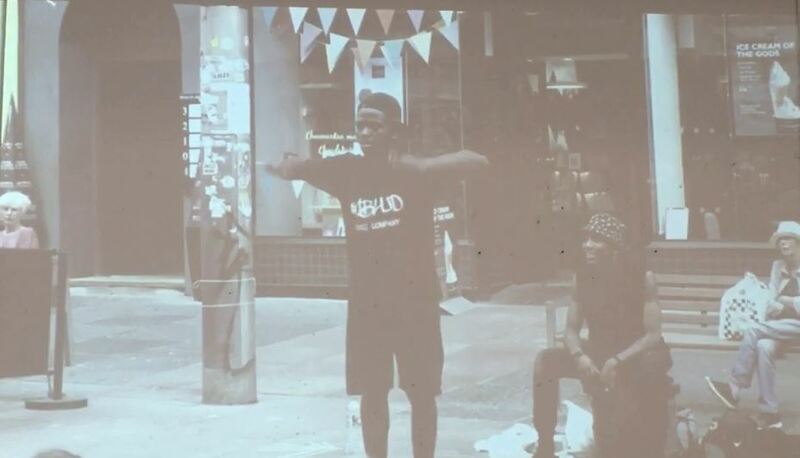 Two more students ingeniously used our George Oliver photograph collection (DC 066/2) to create a video exploring what they noticed as inhabitants of a new city. 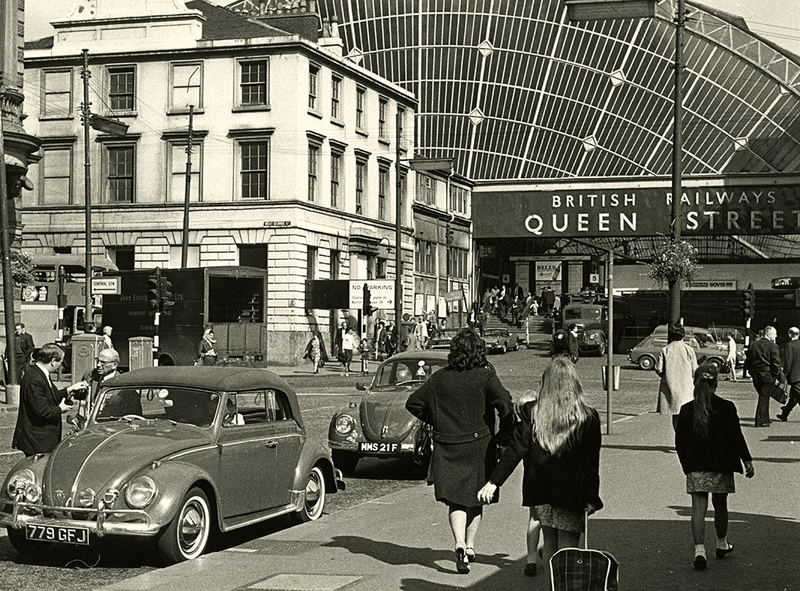 They contrasted this with the idea that George Oliver took his own photographs of what was familiar to him as a local. Karmen Zhan and Sara Guo took inspiration from our Robert Stewart ceramic panel (NMC/744) to create this stunning light piece. They incorporated elements of Stewart’s style, the Glasgow Style and Chinese Symbolism to re-interpret the abstract shapes. 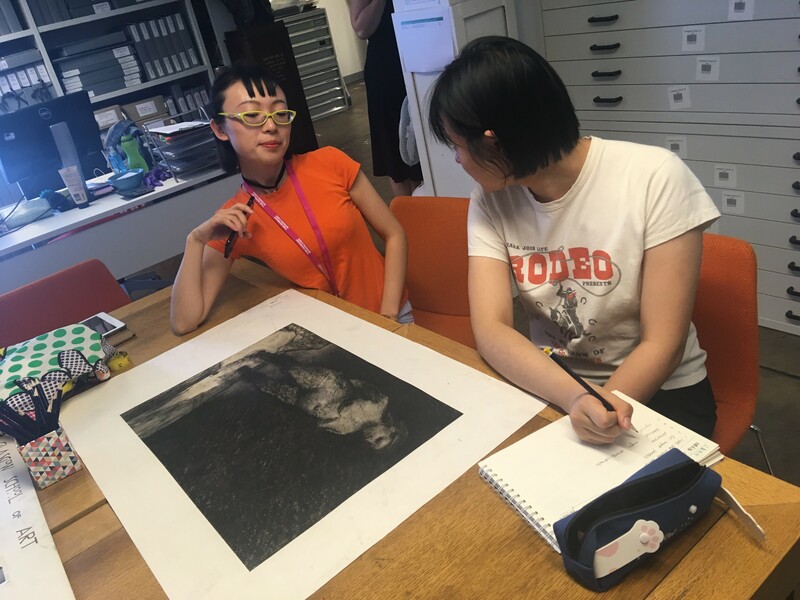 Guo Xin and Selene Tang Jie used a life drawing by Elin Jakobsdottir (NMC/1842) to create an interactive piece of digital media art which explores the relationship between this artwork and expectations of female beauty in China. 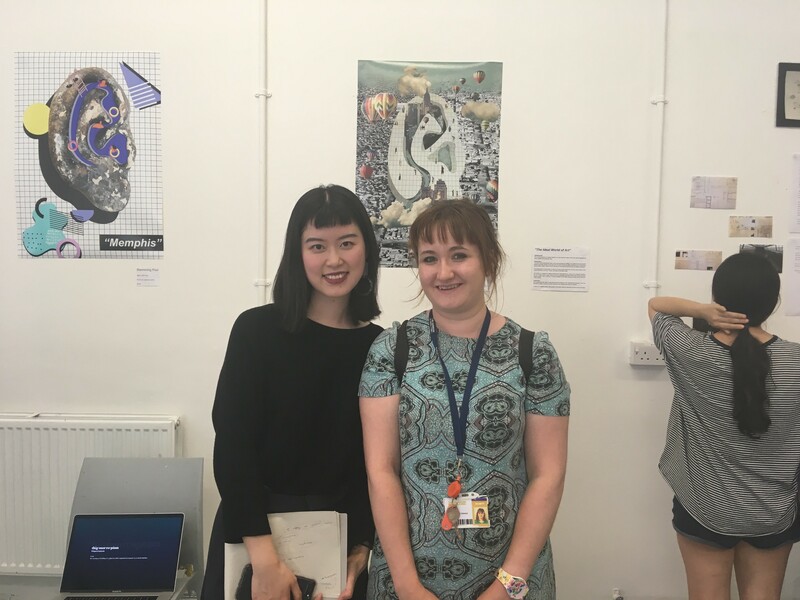 In the background of this photograph, you can just about make out the posters that this student produced based on our Giusti ear plaster cast! 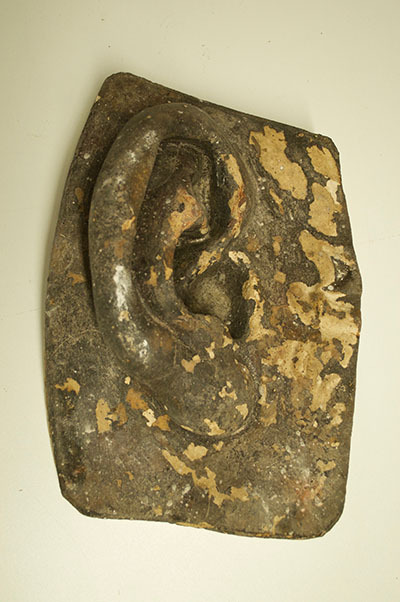 The ear was taken from a cast of Michelangelo’s David and it was used as inspiration for two artworks depicting innovative use of space, including a swimming pool (left) and a depiction of “The Ideal World of Art” (right).